There are a number of different types of Trader and the category they fall into is largely determined by the chart time frame they trade. Trades the Tick or 1 Minute chart and tries to catch quick moves in the market. In and out in less than an hour, sometimes minutes. Trades a few times an hour, these guys enjoy lots of action. Trades the 5 – 15 Minute chart and tries to catch the market move of the day. In and out in the same day and usually less than a couple of hours. Trades a few times a day, these guys enjoy lots of screen time. 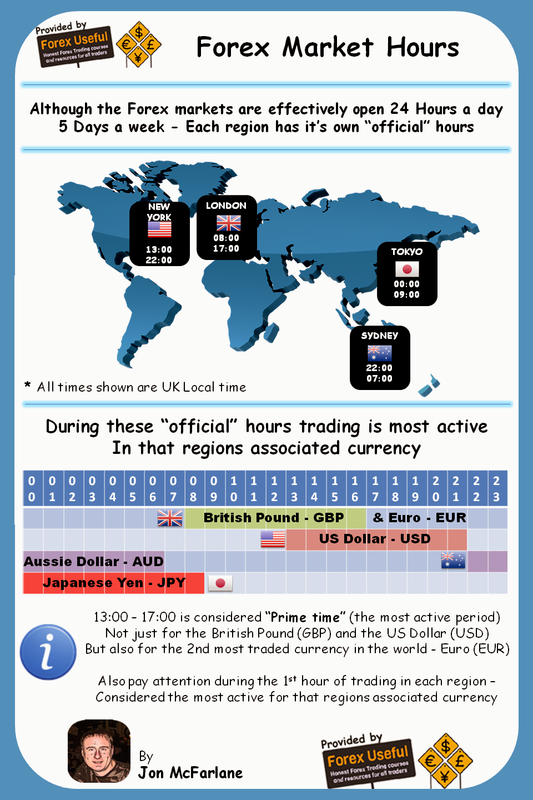 Trades the 1 Hour or 4 Hour chart, also known as Trend trading. In and out in a few weeks but some trades can run for months. Trades a few times a week, these guys are quite relaxed. Trades the Daily and Weekly charts and takes a long term perspective. Positions are often left to run for months, sometimes years. Trades a few times a month, these guys also observe the fundamentals. If you enjoy lots of action become a Scalper. 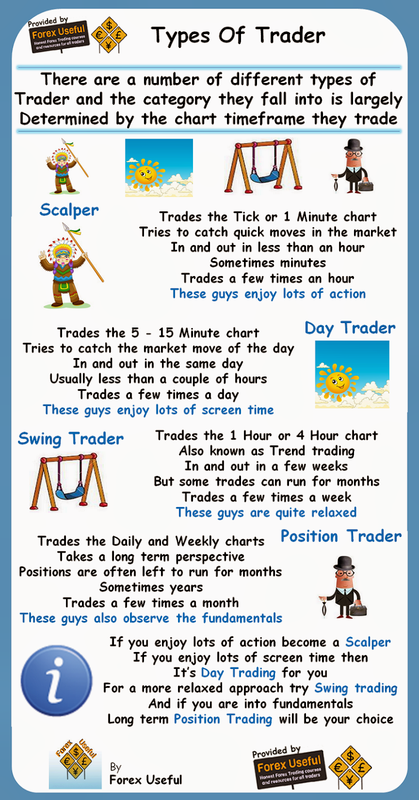 If you enjoy lots of screen time then it’s Day Trading for you. For a more relaxed approach try Swing trading and if you are into fundamentals Long term Position Trading will be your choice. 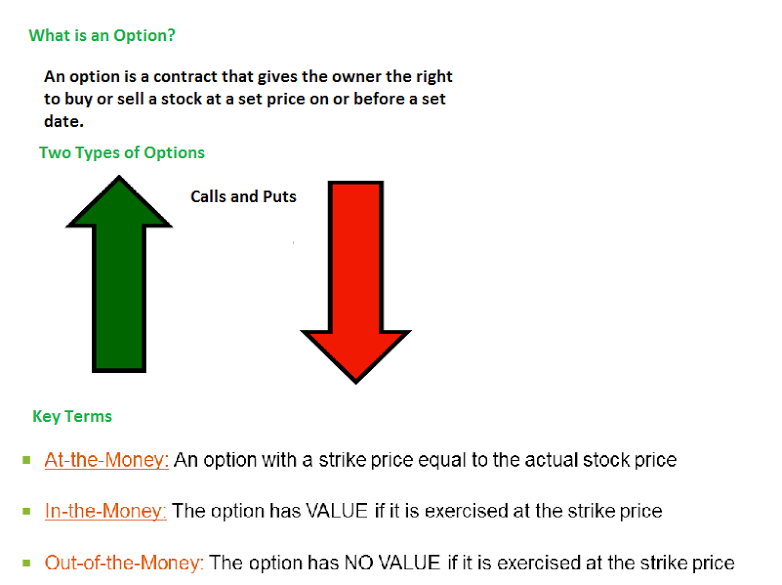 Arbitrage involves buying an asset in one market where the price is low, and at the same time selling the same asset in another market where the price is higher. The arbitrageur aims to take advantage of price discrepancies between the two markets with the view of profiting from this so-called risk-free series of transactions. Investing with borrowed money to boost potential gains at the risk of greater losses. If you have a spare $10,000 and invest it in shares which go up 10 per cent then you will have made $1,000. If instead you use not only your own $10,000 but also $40,000 of someone else's money then you can buy shares costing $50,000 and if they go up by the same 10 per cent then you will have made $5,000 instead of just $1,000. This is known as "leverage". It can be achieved in various different ways, all of which have some advantages and some disadvantages. Popular ways to gain leverage are margin lending, instalment warrants and Contracts for Difference (CFDs). Leverage is a two-edged sword. In the example above, if the shares go down 10 per cent, then you will have lost $1,000 using just own money but $5,000 if you use $40,000 of someone else's money as well. 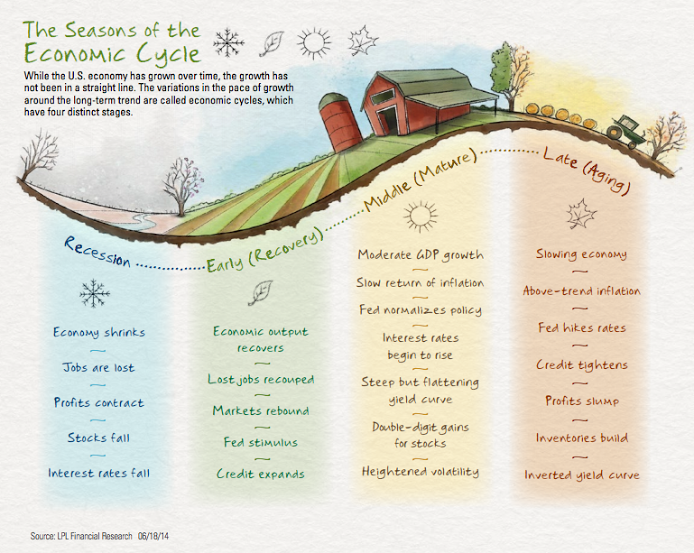 Agriculture, Energy And Metals Commodities. What Are They ? Commodities are objects that come out of the Earth such as Grains, Metals and Oil. Since there are so many, they are grouped in three major categories: Agriculture, Energy and Metals. Things you drink, such as sugar, cocoa, coffee and orange juice. These are known as the soft markets. Grains, such as wheat, soybeans, soybean oil, rice, oats and corn. The Energy category includes Crude oil, Natural gas, RBOB gasoline, and Heating oil. The Metals includes mined commodities, such as Gold, Copper, Silver and Platinum. People can buy and sell commodities based on speculation. For the more experienced investor, this venue of investing can offer huge returns with very little initial investment. The risks are tremendous and not at all recommended for the inexperienced investor, but some think the outcome more than makes up for the for potential loss.